Pork tenderloin, cut down the center and beaten flat. 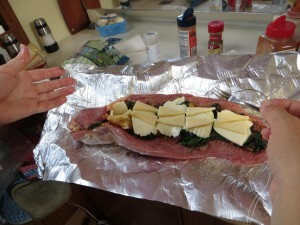 Then stuff it with bacon or pruiscuitto, spinach and gruyere or mozzerella cheese, with some garlic and onion. This dish was tender and delicious, so let me share it with you. 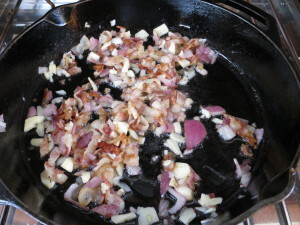 Cut up 4 pieces of bacon with scissors, into large skillet and saute it. 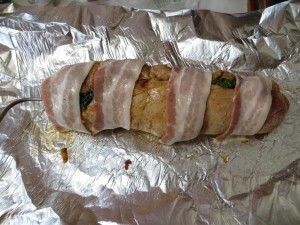 While it is cooking, butterfly the pork tenderloin, cutting through the middle, almost all the way through. Cover with plastic wrap and beat it with a meat tenderizer. 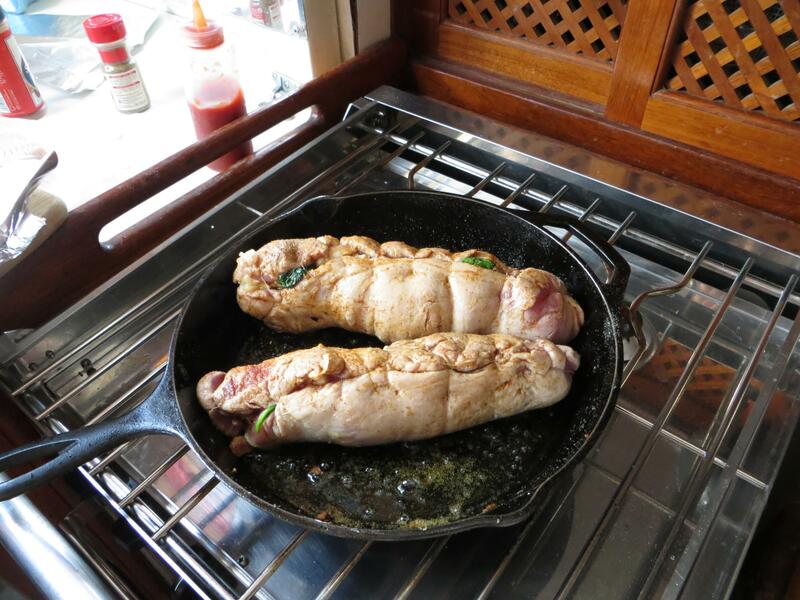 Once you have beaten the tenderloin to about 1/2 inch thick, remove plastic wrap and sprinkle both sides with seasoning (Celery Salt, Onion Powder, Cayenne pepper, Garlic Salt and Black pepper). 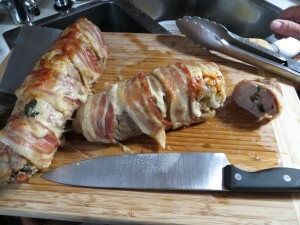 Place plastic wrap back over tenderloin, until you are ready to stuff it. When bacon is almost done, add the remaining spices (whatever is left from the sprinkling of the meat), garlic and chopped onions. 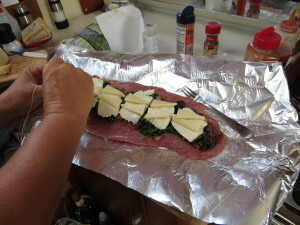 When you are almost ready to turn it off, add the spinach. Cook for 1 more minute and shut off the burner. Slice the mozzarella and Gruyere cheese about 1/8-1/4″ thick. Remove the plastic wrap from the pork, fill it with the spinach/bacon stuffing and add the cheese slices, then carefully wrap the pork tenderloin around the stuffing and sew it together. I like to sear it first in the skillet, before I cook it, to give it a nice browned finish. Once you have seared it, layer the last 4 slices of bacon over the top of the 2 tenderloins. Cook 20-30 minutes until done ( cook to 145 degrees and let set for 5 minutes before serving..
Just watchin’ the world go by.